Beauty and harmony with the other elements of interior decoration are factors to consider when selecting entrance doors. This model matches the Victoria design cabinets in design, color and material, giving the possibility of an amazing view in your house when set together. This model is made of rasch and Alpi elm. 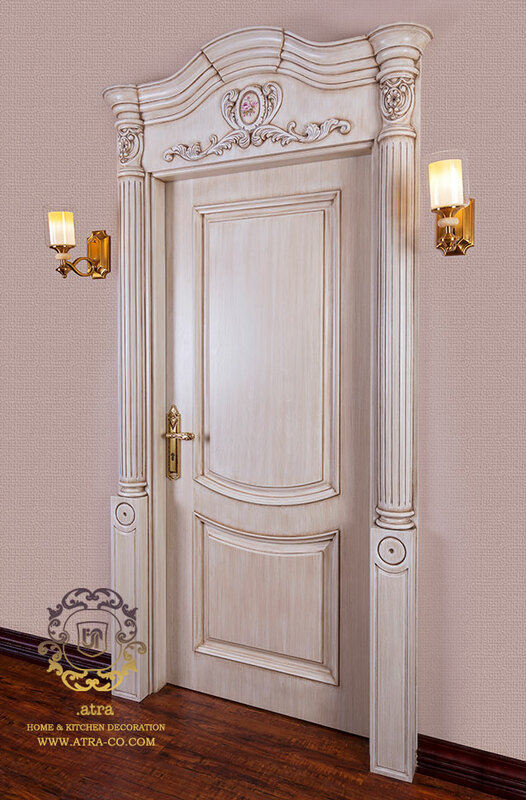 The carvings are seamless and handmade, giving it a royal, unique feel.